We also provide facilitation training workshops for Recreation Therapists and Activities Coordinators. 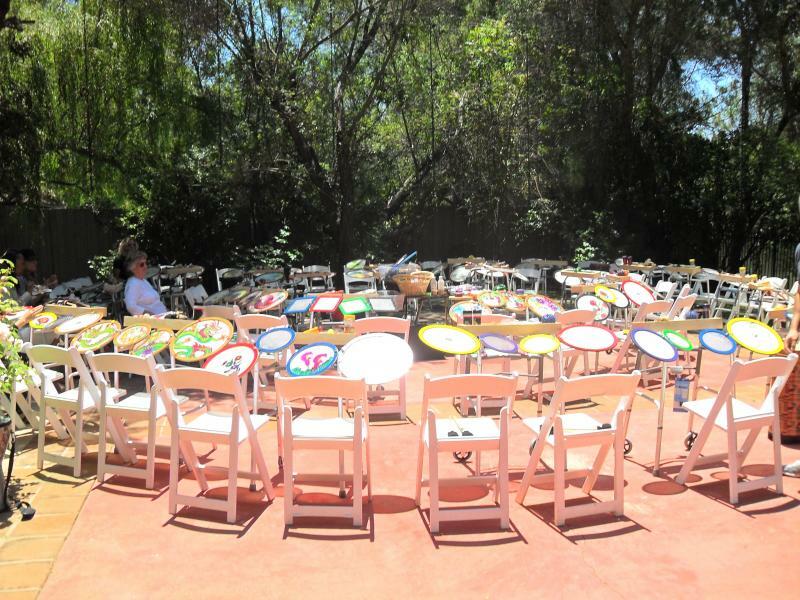 Our purpose in this activity is to instruct them about the documented health benefits of regular participation in recreational / therapeutic drum circles, and to teach them to facilitate their own drum circles with the populations they serve at their particular facilities. When we instructed and facilitated a drum circle workshop at the annual Girl Scout Adult Volunteer Conference, we met one participant who is also a Recreational Therapist. 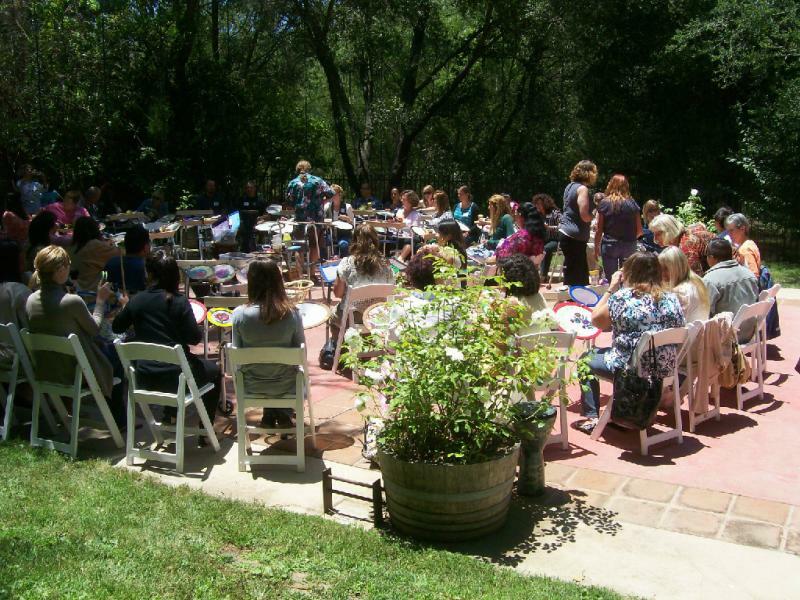 Having “very positive comments to say about what was presented” she subsequently recommended us to the organizers (http://jastrs.com) of the Continuing Education Workshops for Recreational Therapists, who held their 9th Annual Summertime Conference July 15, 2011 in Malibu. The Wahlbangers presented a two-hour Drum Circle / CEU Informational Workshop for 62 Recreational Therapists who work in a variety of settings with people of varying ages and disabilities. The participants drummed out rhythms while learning about alpha and beta brain waves; they shook shakers as they were shown PT types of movement while they pronated and supinated; they followed call-and-response with drums and slide whistles and also enjoyed the endorphins and stress relief that accompanied the laughter. A wonderful time was had by all, and we were proud to continue to spread our joyful noise! "Very enjoyable and therapeutic for us and the populations we work with - Thanks!" "They have a great idea for performing with and for patients / clients and residents..."
"Great ideas! Really enjoyed this concept." "Thank you for the experience and your expertise." "Fun, really enjoyable, and took more concentration than I realized." "Outstanding, fun, enjoyable, creative equipment, and great ideas. So happy the sun was out. Thank you." "Loved it and enjoyed the interaction. Very creative use of materials." "Positive way to encourage communication. Fun, fun, fun! I will use this with my patients."